Chemglass Coated Conical Standing Flask 25mL GL-32 Threaded Top w/ Thermo Port . New Life Scientific, Inc. 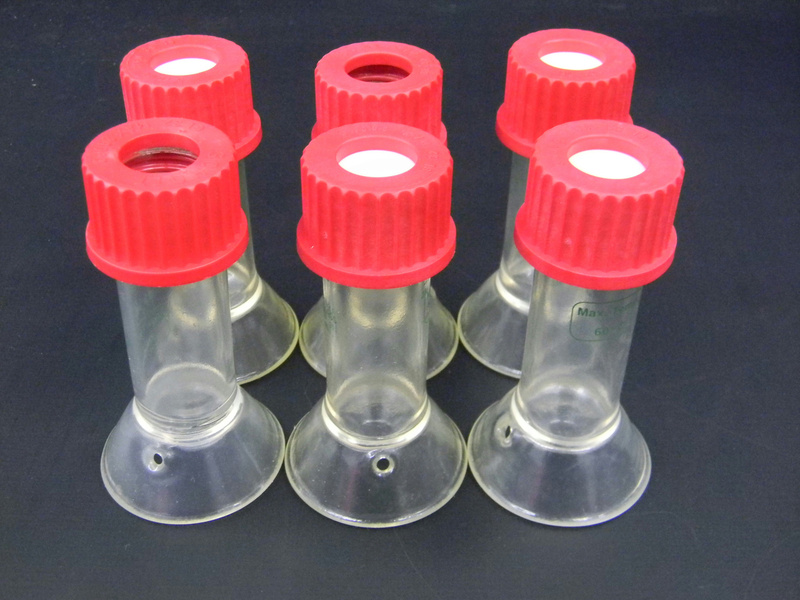 These are used custom flasks that were acquired from a US pharmaceuticals lab. There are no visible cracks or chips to the glassware that would hinder its efficacy. the flask is 60º C (140º F). Some of the GL-32 threaded caps do not have septum.